An increase in foreclosure activity might be good news for people who hunt for bargains and are looking for an affordable home. 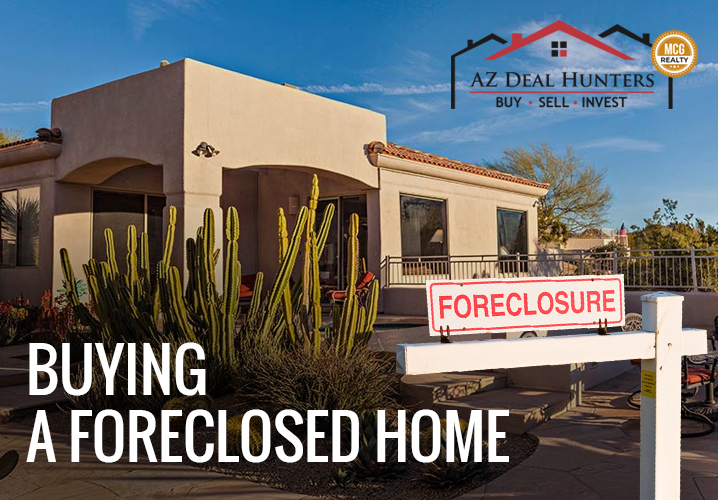 Whether you're looking to buy condos for sale in Phoenix, AZ or purchase your first home, buying a foreclosure is a good strategy to save a serious amount of money. But how does this process exactly work? What are the benefits and drawbacks of purchasing a foreclosure? If you're thinking of buying a foreclosed home, here's what you need to know. Once the homeowner fails to pay the mortgage, then the house will be foreclosed. Foreclosure is a legal procedure by which the owner relinquishes all entitlements to the property. More specifically, the house is put into a foreclosure auction if the homeowner fails to pay the outstanding mortgage or sell the house themselves. If the foreclosed house doesn't sell at the auction, the ownership is given to the bank or lending institution. The bank can then dispose of the house through a liquidation auction or sell it through a real estate agent. Judicial Sale: In this type of foreclosure, the court supervises the sale of the mortgaged property. The proceeds go first to the payment of the mortgage, and then to other lien holders and the homeowner. Power Of Sale: This type of foreclosure doesn't involve the court. The mortgage holder is the one who will the supervise the sale of the property. Buying a foreclosed home is somewhat the same as buying a standard home- you still need to have a good credit score, stable income, and a loan pre-approval. However, the process of buying a foreclosure might be more challenging and sluggish. More significantly, you'll have to manage with home upgrades and repairs yourself. When buying a foreclosure, you're buying from a bank, not from an individual. This could mean a very sluggish communication and less chance of negotiating the asking price. Buying a foreclosed home also mean you're buying a home "as is". So you get whatever condition it is and it's up to you to make the necessary repairs before you move in. The first step in buying a foreclosure is to search for properties. You can hire a real estate agent to look through the listings, read the local newspaper, or search online. Next, prepare to buy the property by getting pre-approved for financing and inspecting the property. Once you're ready to buy the foreclosed property, decide your offer amount. You can check the prices of comparable properties and find out any outstanding debts on the foreclosed property. From there, compute your offer amount and negotiate a buying price. The biggest benefit of buying a foreclosed house is its low price. You can save a lot of money if you know what you're doing. Compared to buying a non-bank-possessed property, foreclosure is more affordable. If you want to flip a house as an investment, a foreclosure is a great choice. You can buy the home "as is" and upgrade it to look like a million dollar bucks. To be on the radar with what's available in your area, look for a licensed real estate agent to work for you on the inside. Buying a foreclosure is also risky. You won't be able to move in after you bought the foreclosed house. You might land a low price but you'll want to ensure that you won't spend more just fixing the place. Most of the time, the interior of the house gets neglected. The closed environment inside the house could lead to the development of bacteria and mold. Also, problems with liens and title might emerge that's why you need to use a real estate attorney if you want to purchase a foreclosure. If it's your first time buying a foreclosed home, don't buy it at an auction. The process is a bit risky for a newbie like you. For starters, you can't check the house to know if there's any damage or determine any senior liens. Instead of buying a good deal, you mind end up with a Pandora's box where you unfold more problems. Also, if the homeowner still resides in the house when the auction happens, you may have a problem evicting him/her. There's also a high chance of vandalism, especially if the former owner is resentful. The house might be trashed before the former owner leaves the house. At some point, a lot of homeowners have at least thought of working with foreclosure listings in their local area. Foreclosed houses in Phoenix are interesting to work with because it gives you great savings if you know precisely what you're doing. That's why it's vital to have more knowledge about the foreclosed properties and how to handle them. To be on your way to creating great deals in an instant, invest your time in learning everything about local foreclosures. 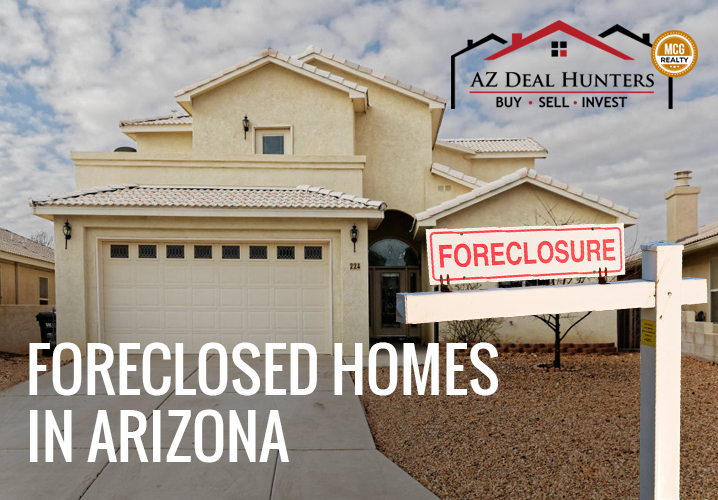 The AZ Deal Hunters can assist you in finding the recent foreclosure listings so you can rest assured of getting a good deal. Sure, foreclosed houses usually require a lot of repairs, but they can also offer investors a room to create money. The market price of a foreclosed house may be lower and it's expected that repairs will cost a lot. Once repairs are made, the property market value also increases, which is what we call the After Repair Value (ARV). The ARV is often similar to the current market value of the same properties in the same area. If you know how you to make profitable repairs, then you can get high returns. 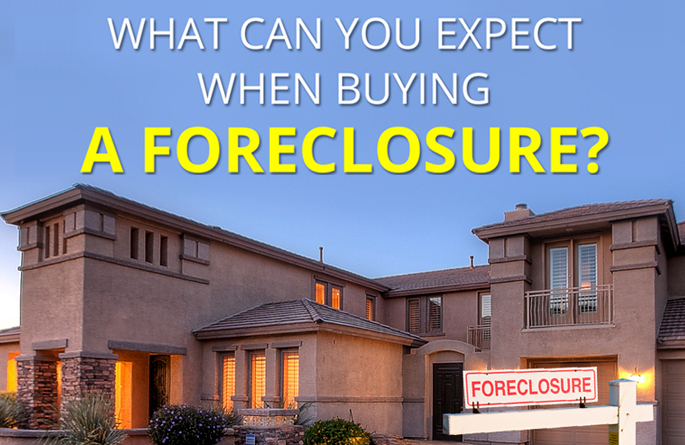 What Can You Expect When Buying A Foreclosure? Truth be told, the selling bank couldn't care less about you. However, we do so we're telling you to get ready for these things. Even if you have secured the proper financing, obtaining the foreclosed property isn't an assurance. Like with any house purchase, the size of the loan depends on the appraisal amount of the foreclosure. Foreclosures tend to have low appraisals because of damage caused by vandalism or abandonment. Since foreclosures are usually sold "as is", consider the potential repair costs into your budget. Expect REO properties to be in very bad condition. The bank that holds the ownership of the foreclosed property won't make the necessary repairs before selling it. The price won't also be lowered to recompense the repair costs you'll make. Even if the home is found in foreclosure listings, it's not an assurance that it's a great deal. Some of them aren't really worthy of their high price. That's why it's important to remember that you aren't always landing some great deals when you create these house purchases. A professional real estate agent can help you decode through listings and help you obtain a real deal. The bank might take a lot of time to respond to your offer and with baffling speed, someone else has given an offer. Multiple offer circumstances are not a stranger in foreclosure sales so get ready to compete with other bidders. And get ready to wait for a long time. A home inspection of a foreclosed house can be quite alarming. Who knows what's inside a house that's abandoned for several months. To prepare yourself for the home inspection, expect the worst. You might also be surprised that the bank will not help you with the repairs. To the selling bank, this deal is just another business routine. With foreclosures, the waiting time to get to the closing day seems to feel like forever. As soon as a problem arises, delays will be made. Patience is key in getting to the closing day. But when the closing day finally happens, it's going to be rushed. Just because buying a foreclosure is slightly risky, doesn't mean that you have to give. Here are tips for buying a foreclosure. Before you buy a foreclosure, determine how you're going to do with it- would you plan to flip it, live in it, or rent it out. Your decision will affect how much you spend on fixes and remodels and how fast you need to create those enhancements. If you're planning to flip a foreclosed house, you should make all the necessary improvements in a short time. This means having a large amount of money upfront. If you're planning to rent or live in the foreclosed property, you make the improvements slowly in a long time. It's enticing to buy the foreclosed house when the price is right. But is it worth it? With the condition of the house, how much cash are you going to spend on improvement and repair? If you're planning to flip it, what are the similar homes selling in the similar block? Research the answers to these questions and create your move. When you have found a foreclosed home of your preference, it's helpful to have cash. You'll have a higher chance of getting your offer accepted by the bank if you can buy the foreclosed property right away. Before you begin looking for a foreclosed home, secure a letter of prequalification from a lender. The foreclosure market is getting competitive so you have to be ahead of the game by getting pre-qualified beforehand. In most cases, a seller prefers working with a purchaser who's pre-qualified rather than wait and take a risk for anyone who isn't. A better choice is to look for houses that are possessed by the bank or real estate owned (REO). You don't have to worry about senior liens because the bank will take care of them. You also don't have to forcefully evict the former owner. More importantly, you can inspect the house before purchase. Figure how much you need to spend on repairs and upgrades. A lot of buyers seek the help of real estate agents who're experts in foreclosures. However, you can go straight to the lender if you have interest in a specific property. A local or community bank that doesn't have a large infrastructure for managing foreclosure sales would be more than willing to sell the foreclosed home to you. Experience is very important when hiring professionals to do the job for you. Find a real estate agent who has a great local experience in your area and has dealt with foreclosures before. Without their assistance, you could waste more time and money In selecting one of these properties. 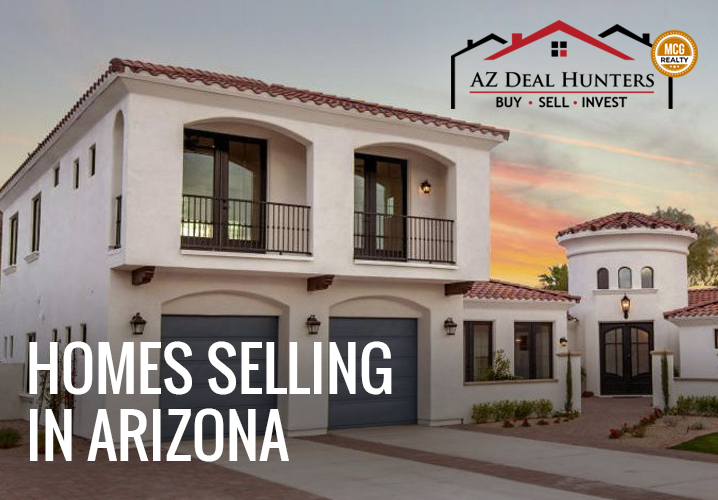 AZ Deal Hunters specialize in helping individuals purchase foreclosed homes in Phoenix, AZ. We help you find the best properties in the foreclosure listings. 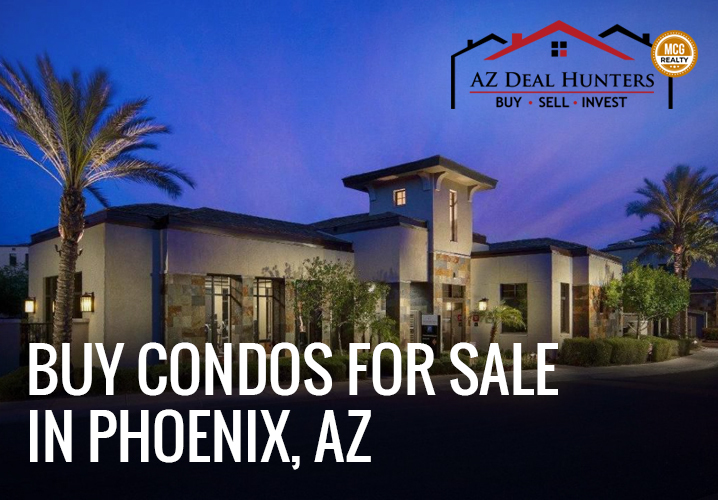 In the listings, you'll find a lot of condos for sale in Tempe, AZ and foreclosed homes in the area. 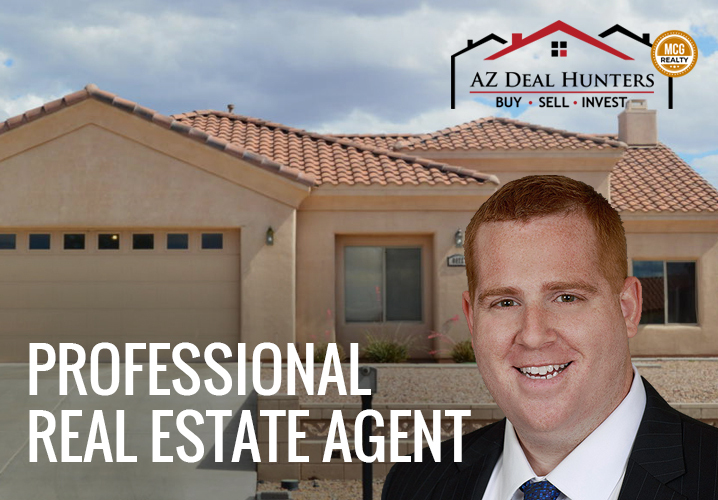 If you want to view the latest condos for sale in Mesa, AZ and other foreclosed properties in the area, call AZ Deal Hunters at 480-432-7049 today!